Do you want to offer Crack-n-Peel Stickers to your clientele? If you’re looking to market full-service design to a business or organization, one of the products that is growing in popularity is wholesale UV stickers. 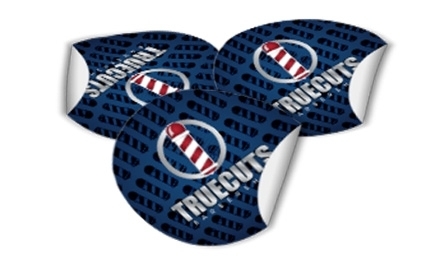 These stickers enable a wide variety of applications, and are able to be printed at a high visual quality with our Wholesale pricing. This makes them perfect for branded customization, and other corporate marketing initiatives. You can also get them with a variety of options; there are even removable and replaceable adhesive products on the market that mean the stickers can be taken down, moved around, and reused. Those products are fantastic for companies that visit multiple trade shows or redecorate often. Kinda Sticky Adhesive – has a high initial tack and strong ultimate bond. Easily Removable Adhesive-completely removable with no adhesive residue. Great for skins! Spot color matchingavailable for Pantone colors using UV inks. Back printingoptions and custom shaped die-cuts available. These stickers print in 4-5 business days. Often used for bumper stickers, car windows, store-front windows. Color Trade Print can help you produce customized wholesale UV stickers; you may be surprised at how successful you will be when offering them to your current clientele. This entry was posted in Peel and Crack Stickers, Printing, Stickers. Bookmark the permalink.